Apologies in advance as Triumph of the Will is my number one FF of 1935. I first studied it in school as an industrial work of propaganda. We also watched some Allied propaganda films. If you can separate its subject matter from its form, TOTW is an astounding technical achievement. With regards its subject matter it can be argued that as an industrial, the filmmaker was hired not only to document her client but to make him look good too. And finally I might add that it is one of the most powerful horror films of all time. Can you fellow TCM-ITES fathom,. I've yet to be able to see "Grande Illusion" though? Thanks for your post but the thread title refers to foreign language films from 1933. TotW will appear in my top three of '35, as well. I can appreciate the artistry and technical achievement without condoning the message of the material. Olympia will also rank highly for me. No need for apologies. I understand her documentaries are impressive from a technical and cinematic viewpoint. Nothing wrong with pointing out the powerful cinematography behind it. Not only that but it's been my No. #1 overall all-time favourite foreign-language film every yet made!!! 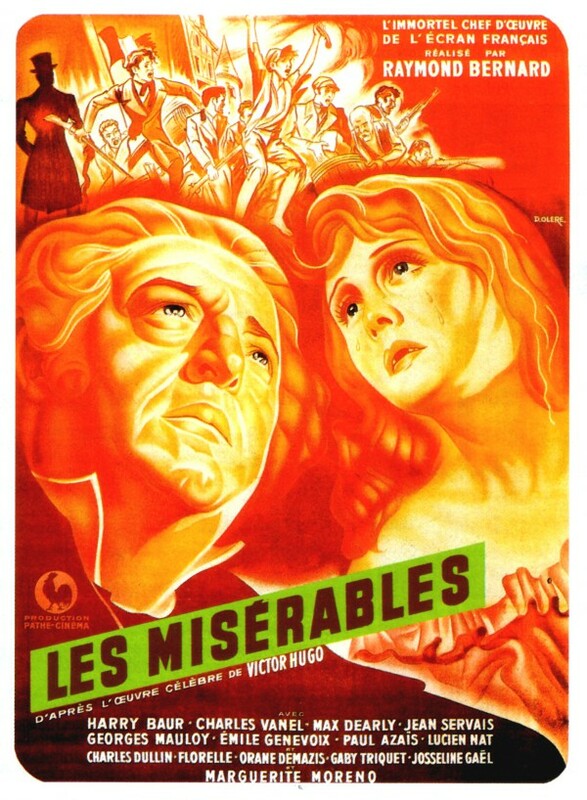 The National Board of Review 1936 top foreign language films included …. Last June 13 I posted some observations on Victor and Viktoria (1933) in the I Just Watched Thread (page 289) in general discussions. It was comparing three versions of this story. V and V (1933), First a Girl (1935) and the more famous Blake Edwards version, Victor/Victoria (1982). Viktor and Viktoria (1933) is a German musical by Reinhold Schunzel and the first adaptation as far as I can tell as he has the writing credit. Much of the film is either in song or spoken rhyme. Briefly, it is the story of an aspiring singer named Susanne Lohr (Renate Muller) who meets a rather terrible actor named Viktor Hempel (Hermann Thimig). Viktor has a drag queen act and when he comes down with a cold enlists Susanne to take his place. Hence the story of a female impersonating a male impersonating a female. 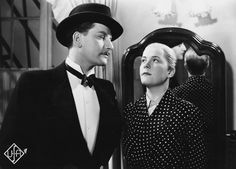 Adolf Wohlbruck plays the love interest in Viktor and Viktoria (1933). He would later change his name to Anton Walbrook. In this version he discovers that "Viktor" is really a woman quite early on when he overhears her confession. He decides to play along and much of the film's comedy derives from the squeamish positions he puts her in: smoking cigars, drinking whiskey, strip clubs and a barbershop shave. La Tete d'un Homme (1933) - French crime drama from director Julien Duvivier, based on a novel by Georges Simenon. Harry Baur stars as police Chief Inspector Maigret who's leading the investigation of the murder of a wealthy old woman stabbed in her home. The case leads to creepy, terminally-ill medical student Radek (Valery Inkijinoff) who sees this as his chance to a leave a mark on the world. Also featuring Alexandre Rignault, Gaston Jacquet, Henri Echourin, Marcel Bourdel, and Gina Manes. Dragnet Girl (1933) - Excellent Japanese crime drama/romance from Shochiku and director Yasujiro Ozu. The story follows four characters: Tokiko (Kinuyo Tanaka), a gang moll who works a legit job as a secretary at a large firm so that she can get extra cash from the company's president's son, money that she uses to keep Joji (Joji Oka), a former boxer turned minor criminal gang boss. When young hothead Hiroshi (Koji Mitsui) joins the gang, his nice-girl sister Kazuko (Sumiko Mizukubo) implores Joji to help set her brother back on the right track. Joji starts to fall for Kazuko, which causes Tokiko a lot of grief and sets her on an unpredictable path. Also featuring Yumeko Aizome, Yoshio Takayama, Koji Kaga, and Yasuo Nanjo. Don Quixote by G.W. Pabst was one of those films in the early thirties that had different language versions that were shot simultaneously. Anna Christie, All Quiet on the Western Front and Dracula are some other examples. Don Quixote had an English and a French version. I purchased a dvd copy that had both versions (picture above). Feodor Chaliapin, Sr., the Russian Opera singer stars as Quixote in both versions. The supporting cast around him was unique to each version. 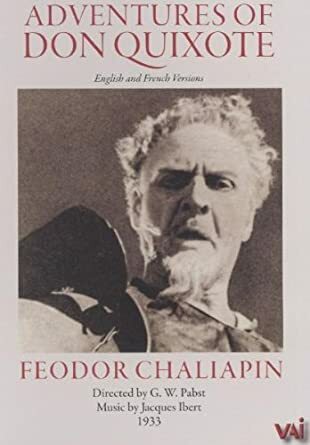 I preferred the French version of the film primarily because Chaliapin seemed more comfortable performing in this language. And I liked Dorville who plays Sancho Panza. George Robey plays Panza in the English version. I saw Laughing Heirs at a Max Ophuls retrospective put on by Toronto's Cinematheque many years ago. I gave it two out of four stars at the time. It is an amusing comedy about a young man who inherits a winery but on condition that he stay sober. It does benefit from Ophuls direction. 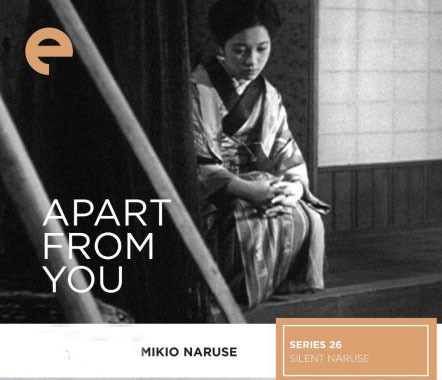 Apart from You (1933) - Japanese tearjerker from Shochiku and writer-director Mikio Naruse. Aging geisha Kikue (Mitsuko Yoshikawa) worries about her teenage son Yoshio (Akio Isono) who lately has been skipping school and hanging out with a gang of petty crooks. Kikue's young co-worker Terugiku (Sumiko Mizukubo) has romantic feelings for Yoshio, but she has to continue working as a geisha in order to support her family, and so that her younger sister won't be forced into the geisha life. Terugiku attempts to set Yoshio back on the straight and narrow, with tragic consequences. Every-Night Dreams (1933) - Japanese tearjerker drama from Shochiku and writer-director Mikio Naruse. Omitsu (Sumiko Kurishima) works as a hostess in a waterfront dive bar, a disreputable and low-paying job that she tolerates to give her young son a decent life. When the boy's deadbeat dad Mizuhara (Tatsuo Saito) shows up one day after years of absence, he swears that he's turned his life around and that he wants to be the husband and father that Omitsu and the boy hope for. However, harsh reality intercedes, and the duo must make some hard decisions. Also featuring Jun Arai, Mitsuko Yoshikawa, Choko Iida, and Takeshi Sakamoto. 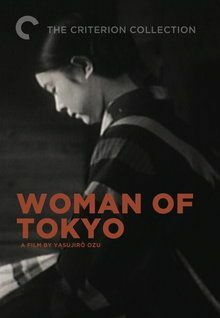 Woman of Tokyo (1933) - Short Japanese tearjerker from Shochiku and director Yasujiro Ozu. Chikako (Yoshiko Okada) dotes on her younger brother Ryoichi (Ureo Egawa), working a secretarial job to pay his way through college. But when Ryoichi's girlfriend Harue (Kinuyo Tanaka) tells him how his sister has been spending her nights, everyone's lives are changed forever. Also with Shin'yo Nara and Chishu Ryu. 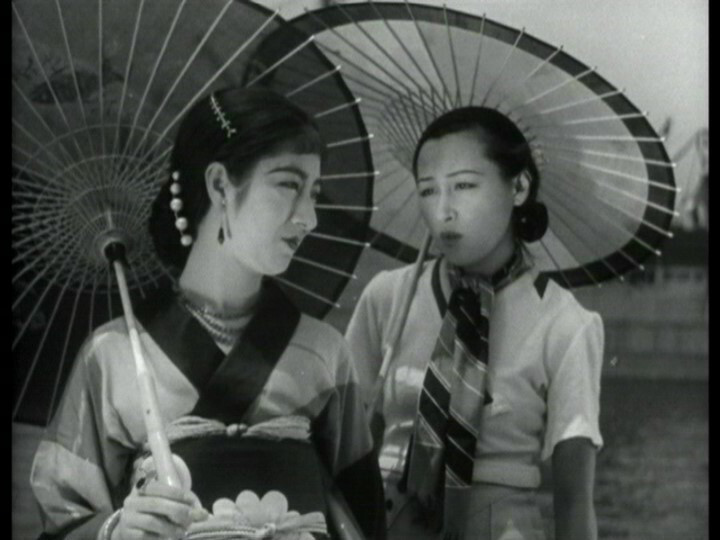 Japanese Girls at the Harbor (1933) - Another Japanese tearjerker from Shochiku, this time from director Hiroshi Shimizu. Sunako (Michiko Oikawa) is a teenage girl in the port city of Yokohama. When she discovers that her older boyfriend is seeing another woman, Sunako commits a terrible act and leaves the city. After years of drifting about, she returns to Yokohama as a bar hostess and reconnects with her old boyfriend, who has married Sunako's former best friend in the interim. Heartbreak naturally ensues. Also featuring Yukiko Inoue, Ureo Egawa, Ranko Sawa, Yumeko Aizome, Tatsuo Saito, and Yasuo Nanjo. My top FF films of 1934 of the 4 that I have seen are …. Yes, the version on YouTube says "Lieutenant Kije" and I think they are both alternate titles of the same film. The two best Benelux films of the first half of the century are both from 1934. I hope you'll tell us a little something about these two. I admit to being woefully ignorant on the film output from both places. De Witte ("The White One/Whitey") is a Flemish picaresque novel by Ernest Claes. It has been adapted twice: in 1934 and in 1980. It's about a farmer's boy with white hair. He's notorious for his pranks. He tricks people into putting way too much salt on the potatoes. This provincial comedy used to be hugely popular in Belgium. Even in the 1980s it was on television every year. Today it looks very old-fashioned, but it's still funny, and it's a unique portrait of life in a Catholic village in the 1930s. 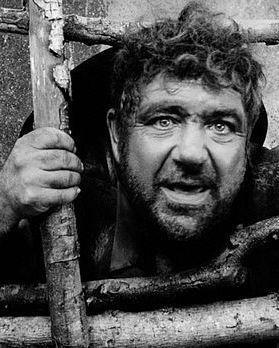 The urchin was played by Jef Bruyninckx, mainly remembered for this one role. Here you see him in class, getting a reprimand for not having studied his Catechism. Op Hoop van Zegen ("Hoping for the Best") is a Dutch adaptation of a tragedy by Herman Heijermans. Esther de Boer-van Rijk (1853-1937) played the fisherman's widow in the 1900 premiere and many times since. The filmmakers decided that nobody else should play Kniertje in the adaptation, even if she had turned eighty! Kniertje has already lost her husband and two sons at sea. For economical reasons her two youngest sons are forced to go fishing as well on the dilapidated boat Op Hoop van Zegen.